Dr. Ripplinger at Victory Dental worked with a top Pediatric Dentistry Specialist to gain experience on the best way to provide dentistry for kids. Here at Victory Dental we do our best to make your child feel excited to come see us by creating a fun, non-threatening atmosphere. We always avoid threatening words like “drill,” “needle,” and “injection.” We offer movies in each operatory and nitrous gas as needed. You're kids will love our comfortable lounge, where they can play while they wait for a sibling. Dental phobias beginning in childhood often continue into adulthood, so it is of paramount importance that children have positive experiences and find their “dental home” as early as possible. 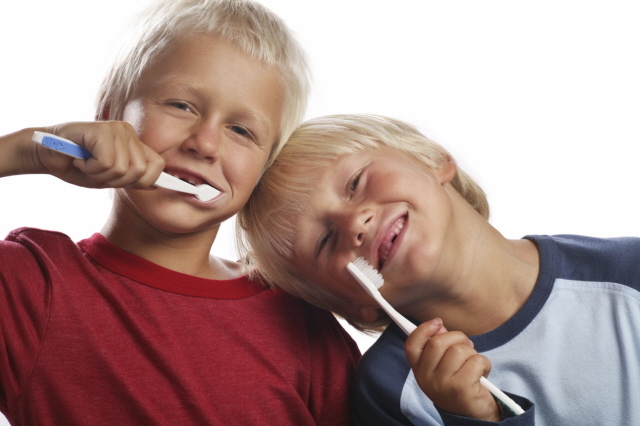 Why is it important for my young child to visit the dentist? When should I bring in my child for their first checkup? It is advantageous for the first dental visit to occur within six months after the first tooth erupts, but not later than the first birthday. If you have questions or concerns about pediatric dentistry, please contact our office or stop in for a complimentary brochure on "Your Child's Teeth". Find out more information on how you can care for your child's teeth on our blog post: "7 Tips to Keep Your Child's Teeth Healthy". How much does a children's exam and cleaning cost?